Starting the early 1990s and lasting 25 years, comedian Garry Shandling hosted a Sunday pick-up basketball game at his house in the swanky Brentwood section of Los Angeles. The secret weekly game, attended by some of the biggest names in comedy and the entertainment industry, discontinued in 2016, when Shandling died at the age of 66 from a massive heart attack. Los Angeles is a fervent basketball city with two professional teams. The LA Lakers, will always be the biggest show in town, especially with the addition of LeBron James. In the 1980s, Magic Johnson and Pat Riley guided the Lakers to multiple championships. Celebrities filled the front row of games at the Great Western Forum, including season-ticket holder Jack Nicholson. The brightest stars in Tinsel Town didn’t just watch hoops, they also played it. ESPN published an oral history of Garry Shandling’s secret weekly game titled: ‘Fight Club’ with better jokes: Inside Garry Shandling’s secret pickup game. Alex Richanbach, Director of Ibiza, explained the origins of the game. Several big-time comedians and major players in Hollywood attended Shandling’s Sunday game. Friends came and went over the years, but some of the notable players included Will Ferrell, Adam Sandler, Ben Stiller, David Duchovny, Jeff Goldblum, Sarah Silverman, Sacha Baron Cohen, Brad Pitt, Judd Apatow, Billy Crystal, Kevin Nealon, Adam McKay, and Al Franken. Shandling’s house in Brentwood was tucked away in a canyon and he constructed a half-court along a hillside. The games were three on three and the first team to seven points wins. The games were fun, but competitive. Some celebrities were injured in the spirited games. 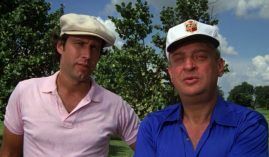 Billy Crystal once twisted an ankle and never went back. Al Franken broke a thumb. Sacha Baron Cohen suffered a sprained ankle bad enough that the injury halted production of his film Borat for a couple of months. Sara Silverman, despite being the lone female participant in Sunday hoops, was well regarded as one of the better regulars. In March 2016, Shandling�s friends gathered three days after he passed for a memorial and one final game. Shandling, a devout Buddhist, did not overtly share his deep connection with his religion. His friends were aware about his serious relationship with Buddhism, however, the public was unaware of his passion. Judd Apatow produced The Zen Dairies of Garry Shandling, a two-part documentary on HBO, which chronicled the life and wisdom of Shandling. The comedian opened up more with Apatow. Shandling�s work as a comedian helped him blend his passions. Shandling attempted to heal the world with laughter and comedy. Regulars feared David Duchovny, an actor most known for his role of Agent Mulder in the popular show “The X-Files”, as one of the best players at Shandling’s. Duchovny played basketball at Collegiate high school in New York. He even played college ball at Princeton University under renown coach Pete Carril. “Duchovny was a beast,” said Jay Roach, director of Austin Powers, and a regular in the game. 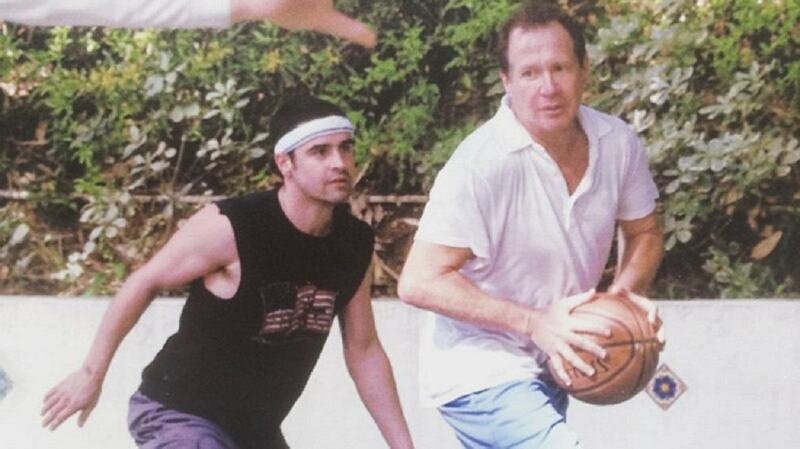 Shandling once interviewed Duchovny at his own basketball court.